Designation: A148/A148M − 15aStandard Specification forSteel Castings, High Strength, for Structural Purposes1This standard is issued under the fixed designation A148/A148M; the number immediately following the designation indicates the yearof original adoption or, in the case of revision, the year of last revision. A number in parentheses indicates the year of last reapproval.A superscript epsilon (´) indicates an editorial change since the last revision or reapproval.This standard has been approved for use by agencies of the U.S. Department of Defense.1. Scope*1.1 This specification covers carbon steel, alloy steel, andmartensitic stainless steel castings that are to be subjected tohigher mechanical stresses than those covered in SpecificationA27/A27M.1.2 Several grades of steel castings are covered, having thechemical composition and mechanical properties prescribed inTables 1 and 2.1.3 The values stated in either SI units or inch-pound unitsare to be regarded separately as standard. The values stated ineach system may not be exact equivalents; therefore, eachsystem shall be used independently of the other. Combiningvalues from the two systems may result in non-conformancewith the standard.1.3.1 Within the text, the SI units are shown in brackets.2. 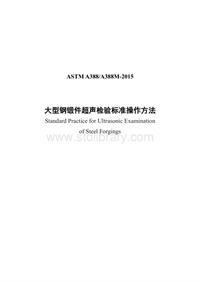 Referenced Documents2.1 ASTM Standards:2A27/A27M Specification for Steel Castings, Carbon, forGeneral ApplicationA370 Test Methods and Definitions for Mechanical Testingof Steel ProductsA781/A781M Specification for Castings, Steel and Alloy,Common Requirements, for General Industrial UseA957/A957M Specification for Investment Castings, Steeland Alloy, Common Requirements, for General IndustrialUseA1067/A1067M Specification for Test Coupons for SteelCastingsE29 Practice for Using Significant Digits in Test Data toDetermine Conformance with Specifications3. General Conditions for Delivery3.1 Except for castings produced by the investment castingprocess, material furnished to this specification shall conformto the requirements of Specification A781/A781M, includingany supplementary requirements that are indicated in thepurchase order. Failure to comply with the general require-ments of Specification A781/A781M constitutes nonconfor-mance with this specification. In case of conflict between therequirements of this specification and Specification A781/A781M, this specification shall prevail.3.2 Investment castings furnished to this specification shallconform to the requirements of Specification A957/A957M,including any supplementary requirements that are indicated inthe purchase order. Failure to comply with the general require-ments of Specification A957/A957M constitutes nonconfor-mance with this specification. 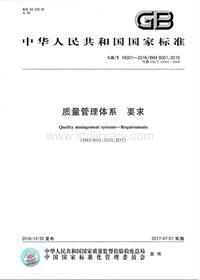 In case of conflict between therequirements of this specification and Specification A957/A957M, Specification A957/A957M shall prevail.4. Ordering Information4.1 The inquiry and order should include or indicate thefollowing:4.1.1 A description of the casting by pattern number ordrawing (dimensional tolerances shall be included on thecasting drawing),4.1.2 Grade of steel,4.1.3 Options in the specification, and4.1.4 The supplementary requirements desired, includingthe standards of acceptance.4.1.5 In the case of quench and tempered castings the rulingsection, T.5. Heat Treatment5.1 All castings shall be heat treated either by full annealing,normalizing, normalizing and tempering, or quenching andtempering. Unless otherwise specified in the inquiry, contract,or order, the castings may be heat treated by any of these heattreatments or combination of these heat treatments at the optionof the manufacturer.5.2 Heat treatment shall be performed after the castingshave been allowed to cool below the transformation range.1This specification is under the jurisdiction of ASTM Committee A01 on Steel,Stainless Steel and Related Alloysand is the direct responsibility of SubcommitteeA01.18 on Castings.Current edition approved Nov. 1, 2015. Published November 2015. Originallyapproved in 1955. 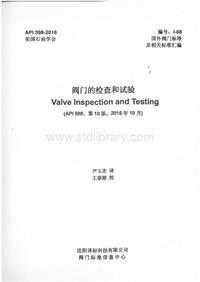 Last previous edition approved in 2015 as A148/A148M – 15.DOI: 10.1520/A0148_A0148M-15A.2For referenced ASTM standards, visit the ASTM website, www.astm.org, orcontact ASTM Customer Service at [email protected] For Annual Book of ASTMStandards volume information, refer to the standard’s Document Summary page onthe ASTM website. *A Summary of Changes section appears at the end of this standardCopyright © ASTM International, 100 Barr Harbor Drive, PO Box C700, West Conshohocken, PA 19428-2959. United States16. Temperature Control6.1 Furnace temperatures for heat-treating shall be regulatedby the use of pyrometers.7. Chemical Composition7.1 The steel shall conform to sulfur and phosphorus re-quirements as prescribed in Table 1.7.2 The content of carbon, manganese, silicon, and alloyingelements may, by agreement, be prescribed by the purchaser. Ifnot specified, the content may be selected by the manufacturerto obtain the required mechanical properties.7.3 When the analysis of carbon, manganese, silicon, or anyintentionally added alloying element is specifically requestedin the contract or order, it shall be made by the manufacturerand reported to the purchaser. The results of these analysesshall not be used as a basis for rejection except by prioragreement.8. Tension Testing Requirements8.1 One tension test shall be made from each heat, forinvestment castings, each master heat, and shall conform to thetensile requirements specified in Table 2.8.2 The test coupons and specimens shall conform torequirements specified in Section 11.8.3 Tension test coupons shall be machined to the form anddimension shown in Fig. 4 of Test Methods and DefinitionsA370 and tested in accordance with those test methods with theends machined to fit the grips on the tensile testing machine tobe used. Suggested types of ends for standard round tensiontest specimens are shown in Fig. 5 of Test Methods andDefinitions A370.8.4 To determine conformance with the tension testrequirements, an observed value or calculated value shall berounded off in accordance with Practice E29 to the nearest500 psi [5 MPa] for yield point and tensile strength and to thenearest 1 % for elongation and reduction of area.9. Charpy Impact Requirements9.1 This section is applicable only to grades 165-150L[1140-1035L], 210-180L [1450-1240L], and 260-210L [1795-1450L].NOTE 1—Other grades may be ordered to charpy impact test require-ments in accordance with Supplementary Requirement S9 of SpecificationA781/A781M.TABLE 1 Chemical RequirementsGrade (UNS No.) Composition, %Sulfur, max Phospho-rus, max80-40 [550-275] (D50400) 0.06 0.0580-50 [550-345] (D50500) 0.06 0.0590-60 [620-415] (D50600) 0.06 0.05105-85 [725-585] (D50850) 0.06 0.05115-95 [795-655] (D50950) 0.06 0.05130-115 [895-795] (D51150) 0.06 0.05135-125 [930-860] (D51250) 0.06 0.05150-135 [1035-930] (D51350) 0.06 0.05160-145 [1105-1000] (D51450) 0.06 0.05165-150 [1140-1035] (D51500) 0.020 0.020165-150L [1140-1035L] (D51501) 0.020 0.020210-180 [1450-1240] (D51800) 0.020 0.020210-180L [1450-1240L] (D51801) 0.020 0.020260-210 [1795-1450] (D52100) 0.020 0.020260-210L [1795-1450L] (D52101) 0.020 0.020TABLE 2 Tensile RequirementsGrade Tensile strength min,ksi [MPa]Yield point min,ksi [MPa]Elongation in 2in.or50mm,min, %Reduction of Area, min, %80-40 [550-275] 80  40  18 3080-50 [550-345] 80  50  22 3590-60 [620-415] 90  60  20 40105-85 [725-585] 105  85  17 35115-95 [795-655] 115  95  14 30130-115 [895-795] 130  115  11 25135-125 [930-860] 135  125  9 22150-135 [1035-930] 150  135  7 18160-145 [1105-1000] 160  145  6 12165-150 [1140-1035] 165  150  5 20165-150L [1140-1035L] 165  150  5 20210-180 [1450-1240] 210  180  4 15210-180L [1450-1240L] 210  180  4 15260-210 [1795-1450] 260  210  3 6260-210L [1795-1450L] 260  210  3 6A148/A148M − 15a29.2 The impact properties of each heat, for investmentcastings, each master heat, shall be determined by testing oneset of three Charpy V-notch impact specimens at −40° 6 2°F[−40° 6 1°C]. The energy value of the three specimens shallnot be less than shown in Table 3.9.3 Test coupons and specimens shall conform to therequirements specified in Section 11.9.4 Impact test specimens shall be machined to the form anddimensions shown in Test Methods and Definitions A370,Charpy V-notch specimen, Fig. 11, and tested in accordancewith those test methods.10. Retests10.1 If the results of the tensile or charpy tests do notconform to the requirements specified, heat-treated castingsmay, at the manufacturer’s option, be reheat treated. Testingafter reheat treatment shall consist of the full number ofspecimens complying with the specification or order.11. Test Coupons and Specimens11.1 Test bars shall be poured from the same heat, forinvestment castings, the same master heat, as the castingsrepresented. Test coupons may be cast integrally with thecastings or as separate blocks similar to those shown inSpecification A1067/A1067M.11.1.1 In the case of quenched and tempered castings wherethe ruling section, T exceeds three inches, supplementaryrequirement S15 of Specification A781/A781M shall applywith the casting’s thickness, T, in A781/A781M, S15.2 equal tothe ruling section, T, from 4.1.5. For investment castings,supplementary requirement S15 of Specification A957/A957Mshall apply.11.2 The bar from which the test piece is taken shall be heattreated in production furnaces with the castings or to the sameprocedure as the castings it represents.11.2.1 When the bar from which the test piece is taken is notheat treated as part of the same heat treatment load as thecasting(s) it qualifies, the austenitizing (or solution, if appli-cable) temperatures for the bar shall be within 25°F of those forthe casting(s). The tempering temperature for the bar shall beno higher than 25°F above that of the casting(s) and no higherthan permitted by the heat treatment procedure for the material.The cycle time at each temperature shall not exceed that for thecasting(s).11.3 Test specimens may be cut from heat-treated castings,at the producer’s option, instead of from test bars.11.4 If any specimen shows defective machining, or exhib-its flaws, it may be discarded and another substituted from thesame heat.12. Repair by Welding12.1 Weld repairs shall be inspected to the same qualitystandards that are used to inspect the castings. When castingsare produced with Supplementary Requirement S1 specified,weld repairs shall be inspected by magnetic particle examina-tion to the same standards that are used to inspect the castings.When castings are produced with Supplementary RequirementS2 specified, weld repairs in which the depth of the cavityprepared for repair welding exceeds 20 % of the wall thicknessor 1 in. [25 mm], whichever is smaller, or in which the cavityprepared for welding is greater than approximately 10 in.2[65 cm2], shall be radiographed to the same standards that areused to inspect the castings.12.2 Welds exceeding 20 % of the wall thickness or 1 in. [25 mm], whichever is smaller, or exceeding approximately10 in.2[65 cm2] in area, shall be given a suitable stress reliefor heat treatment.13. Rehearing13.1 Tested samples representing rejected material shall beheld for two weeks from the date of the test report. In case ofdissatisfaction with the results of the tests, the manufacturermay make claim for a rehearing within that time.14. Keywords14.1 alloy steel; carbon steel; castings; high strength steel;martensitic stainless steel; steel castings; structural castingsTABLE 3 Impact RequirementsGrade 165-150L[1140-1035L]210-180L[1450-1240L]260-210L[1795-1450L]Impact RequirementsCharpy V-notchEnergy value, ft·lbf [J], min value fortwo specimens and minimum aver-age of three specimens20  15  6 Energy value, ft·lbf [J], min for singlespecimen16  12  4 A148/A148M − 15a3SUPPLEMENTARY REQUIREMENTSThe following supplementary requirements shall not apply unless specified in the purchase order ordenoted as mandatory in this specification. A list of standardized supplementary requirements for useat the option of the purchaser is included in Specifications A781/A781M and A957/A957M. Thosewhich are ordinarily considered suitable for use with this specification are given below together withadditional supplementary requirements that are applicable only to this specification. 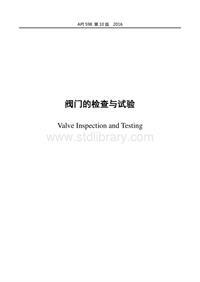 Other supple-mentary requirements enumerated in Specifications A781/A781M and A957/A957M may be usedwith this specification upon agreement between the manufacturer and purchaser.S1. Magnetic Particle Examination.S2. Radiographic Examination.S6. Certification.S8. Marking.S9. Charpy Impact TestS9.1 Charpy impact test properties shall be determined oneach heat from a set of three Charpy V-notch specimens madefrom a test coupon in accordance with Test Methods andDefinitions A370 and tested at a temperature agreed uponbetween the manufacturer and purchaser. The acceptancerequirements shall be either energy absorbed, lateralexpansion, or percent shear area, or all three, and shall be thatagreed upon by the manufacturer and purchaser. Test speci-mens shall be prepared and tested in accordance with TestMethods and Definitions A370.S9.2 Absorbed Energy—Average energy value of threespecimens shall be not less than specified, with not more thanone value permitted to fall below the minimum specified andno value permitted below the minimum specified for a singlespecimen.S9.3 Lateral Expansion—Lateral expansion value shall beagreed upon between the manufacturer and purchaser.S9.4 Percent Shear Area—Percent shear area shall beagreed upon between the manufacturer and purchaser.S15. Alternate Tension Test Coupons and Specimen Loca-tions for Castings (Instead of Test Bars Poured fromSpecial Blocks).SUMMARY OF CHANGESCommittee A01 has identified the location of selected changes to this standard since the last issue(A148/A148M – 15) that may impact the use of this standard. (Approved Nov. 1, 2015. )(1) Added Specification A1067/A1067M to Section 2. (2) Added wording to exclude castings produced by the invest-ment casting process from 3.1. (3) Added 3.2 for castings produced by the investment castingprocess. (4) Added phrasing to 8.1, 9.2, and 11.1 to address use ofmaster heats in production of investment castings. (5) Deleted reference to Fig. 1 of Specification A781/A781M.The figure no longer exists in A781/A781M due to earlierballot. 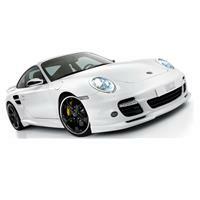 (6) Inserted reference to Specification A1067/A1067M in 11.1. (7) Added phrasing in 11.1.1 to provide for castings producedby the investment casting process. (8) Added A957/A957M to introductory paragraph for theSupplementary Requirements section.Committee A01 has identified the location of selected changes to this standard since the last issue(A148/A148M – 14) that may impact the use of this standard. (Approved Sept. 1, 2015. )(1) New section 4.